Is it just me, or is there something strange, alien, mysterious, and childlike about this mode of thinking--that because something bad (in this case, the suicide bombings) has happened, it must have been the result of a sophisticated plot by those extremely clever and malevolent people in Jerusalem (and Washington)? It certainly does not help your cause, Brad, that there appears to be a well-oiled Isreali lobbying machine that springs into action to threaten the publishers, advertizers etc of any American journalist who ever criticizes Isreal or suggests that maybe the Palestinians occasionally have a point; a lobby that seems to forget that America is not Isreal, Americans are not Isrealis, and American interests are not Isreali interests. Neither does it help that Hollywood, the mouthpiece of America as far as the rest of the world is concerned, refuses to take an honest look at Isreal. We have a never-ending stream of movies about the Holocaust, but never one about the truth behind the creation of Isreal---the big lie "land without people for a people without land" and the creation through terrorist means. Or what about the USS Liberty incident---Isreal deliberately fired on and sank a US vessel, killing US sailors, deliberately lied about it, the US govt deliberately went along with the lie, and no-one is willing to publicize what could be made into a rivetting movie. These are actions that very strongly give an impression of a US govt that is controlled by Isreal. No, it is not just you --academia harbors, nurtures and spreads an anti-American idealogy. I hear it all the time -I am a 66 year old undergraduate with a concentration in economics, having had a very interesting Wall Street career in the 60s, when being female was more of a deterant than not having a college degree. I hear things in liberal arts classes that would curl your hair. Just one example: an otherwise brilliant history professor, a scholar of ancient Greek philosophy and history, shortly after the attack, not content to teach history, sought to "adjust" history by referring to my culture ever-so-casually as "our Judeo, Christian, Muslim culture." Just prior to that, after the attack a different history professor reported that the American flag he wore on his lapel after the attack caused him to be criticized and shunned at a faculty meeting. The idea that media representations of Israel are controlled by the "Israeli lobby" is, frankly, absurd. The media portrayal for years has been basically pro-Palestinian; only post-9/11 has it tilted towards Israel. Americans no longer have much sympathy for the attempt to acheive political aims by terrorism. Many people here in the U.S., particularly liberals, have supported the Palestinian cause. The so-called Israeli lobby never made much headway against this support. The only people who found a way to destroy sympathy for the cause are the Palestinian cause are the Palestians themselves. Not only is the al Asqa intifada immoral, but as immoral acts go it is perhaps the dumbest. Oh, the overwhelming majority of Americans would certainly agree with you that the sins of Israel are mighty and numerous. But we also think that Israel's sins do not include first plotting to turn Palestinians into suicide bombers, and then hypnotizing them into doing so. thinking on the Israeli-Palestinian situation. In particular, i would recommend this interview of Said's with an Israeli journalist. If you want to see what he means by "consciously programmed" then i would also recommend reading this article by Chris Hedges in Harpers last year, to see how willfull, conscious persecution of the Palestinians by the Israelis creates the psychological space from which suicide bombing emerges. Sharon is a ruthless and intelligent man, with the capacity to think several steps ahead. How did he get to be prime minister, what conscious actions led to his recent political ascent from public shame and scorn? Is taking into account the reactions one deliberately foments in others so hard to believe? Is utilizing these reactions of your opponents to achieve your ends so unbelievable? (for an egregious example of this in domestic politics, look at the plan of the Joint Chiefs before the Cuban Missile crisis to conduct a campaign of terrorism against American citizens in order to have create fear and panic in order to justify an invasion of Cuba. Yes, its true). Just how do you think politics works? Go back and review the key steps Sharon took to achieve his current office. Oh, and since you mentioned the Mossad, what exactly is their motto? Take a look. Americans and Israelies have for decades wished for a Palestinian state. What is essential is that Palestinians support peaceful relations with Israel, taking measures to insure the peace, and rejecting the stance of any Arab government that does not support full peaceful relations with Israel. I think the point is that any reasonable person would expect a violenct reaction to be result of inflicting abuse, and to that extent the result is "programmed". That Jerusalem is full of clever, malevolent people hardly seems arguable, much less worth a sneer. And before any one asks, so too is the capital of every country with bantustans. And having read his essay through your link, it seems remarkably silly that you choose to focus on the word programmed to the exclusion of his larger point. The point is that reasonable people do _not_ agree with your statement. 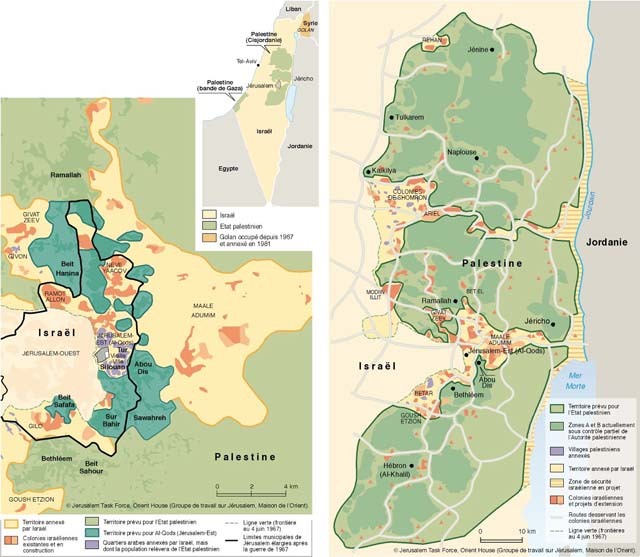 If the Palestinians had eschewed violence, they would already have their state. They did not, and they do not. IMO Said is simply right on the point. There is no surprise that Palestineans are blowing themselves to pieces - most other people that had to endure what they did might end up actung like they did. And yes, the blame is on Jerusalem and its abetters. "Americans and Israelies have for decades wished for a Palestinian state." Khia, I would agree with you if Palestinians accepted the partition of Palestine and the two state solution, and Israelis instead destroyed Palestine; if Israel repeatedly refused to recognize any Arab governments, and pledged to drive them into the sea; if the Palestinians offered Israel 96% of the territory they claim, and Israel rejected it; if Israelis indiscriminantly murdered civilian Palestinians in their restaurants, nightclubs, and mosques, without regard to whether they were military or civilian, not killing civilians as accidental, collateral damage, but as the main target of their attacks. That being said, I read the whole article, not just the "programmed" part (with all of the talk of Israeli dehumanization of Palestinians, I find ironic), one thing missing from the article was the answer to the question "if you're an Israeli, what is the right thing to do?" It seems that they reject Israel's attempts to hunt terrorists. It rejects seperation, calling the fence inhumane. It doesn't seem to believe that the two-state solution is right, mocking the "chatter about strategic withdrawal." The answer seems to be that Israelis are evil people, and nothing they do can be right. They aren't entitled to the right to defend themselves. Given that Israel is, in fact, surrounded by states hostile to its existence, saying that it doesn't have a right to defend itself leads to saying that it doesn't have a right to exist even more directly than it does for say, Austria. So saying that Israel's attempts to defend itself are wrong is tantamount to saying that it doesn't have a right to exist UNLESS an alternative to self-defense compatable with existence is suggested, and Edward Said does not suggest an alternative: indeed, he rejects them all: a two-state solution, a fence, withdrawal, everything is rejected. Maybe Said's other works have more to say about an Israeli solution that would not result in Israel's non-existence, but he doesn't hint at anything in that article. 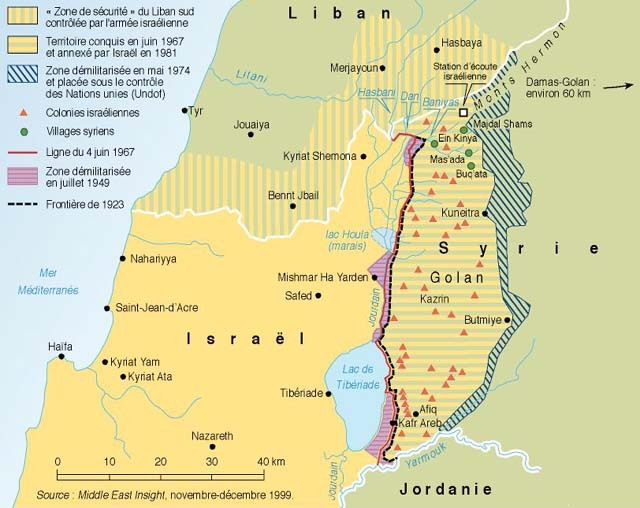 Oh, and if attempts to destroy Israel come only from the fact that it occupied Jordanian, Syrian, and Lebanese territory after the 1967 war (surely a great deal of anti-Israeli sentiment comes from that, and Israeli withdrawal must come sooner or later, I think), why were the Arab states trying to destroy Israel since before its creation? Edward Said doesn't seem to view either of the participants as having free will. Israelis are an embodiment of pure evil, engineering terrorism against themselves so they can use it as an excuse to oppress Palestinians out of some kind of bizarre psychological flaw, and Palestinians mindlessly react to Israeli stimuli. I'm not sure I believe in free will myself, but regardless, this viewpoint doesn't achieve anything. I believe it's just the equivalent of the class consciousness of the capitalists in Marxian terms. Pro-Israel people have a common interest, a common colective unconscious, a common culture and so forth. Most of them share the same religion, and if not, have been raised in the same spirit of collective identity. These people do not need necessarily formal structures of power to come up with consistent actions, and a common strategy. Further, they all do communicate together. We all do that each in our way. The human specie has evolved to act that way. Christian act the same way, so do Muslims, and so does any culturally bonded community. I personally think strategically everytime I play chess (and my family is not even at risk!). And when I notice that someone has a blind spot at chess, that's of course right where I hit. The major difference is that there is only a game of chess at stake then, and that it's morally fine to be machiavellic to win a chess game. Again Brad's complaint seems to rely on a misreading of the specimen text. Some other strawman (perhaps from Said's own writings) might serve as a better foil for the argument. Granted, utterly delusional conspiracy theories exist. This by no means gives us cause to dismiss out of hand any analysis involving manipulation of adversaries, strategic behavior, even conspiracy. and many others. I admit to being poorly informed on the details of these conflicts, but I am not aware of suicide bombing being practiced in these cases. There is also a difference between saying "It is understandable that the Palestinians do this" and saying "Israel is deliberately making Palestinians do this." lL±lLcommentators point to Ariel Sharon as a man whose deviousness and ruthlessness should not be underestimated. I wouldn't dispute this, but let's also recall that Sharon came *into* office this time on the basis of Israeli reaction to *ongoing* terrorism. It was presumably not Barak's plan to force or drive the Palestinians into bombings that would drive Barak himself out of office. I think the message of the article is to say that Ariel Sharon is 'wants terrorism, not peace' and is 'pathologically deranged'. Both of these statements seem perfectly accurate to me. I have recently read Martin Gilbert's 'Israel' -- a 700 page history of that country. The number of times Sharon pops up, from about 1960s onward, is staggering (though I realise possibly his role has been exaggerated by hindsight). Each time you can see by his actions and words that he does want terrorism, not peace, and that he is pathologically deranged. What is sad is that until recently that was essentially the view of the Israeli public, politicians and military. Certainly the view of Israel fed by the US media, both TV and press, is massively distorted. The need is to continue to work for peace. Assure Israel a secure state and build a peaceful democratic Palestine state. The wish has been there for decades, and leaders such as Rabin, Sadat, Peres, Barak, Jordan's King Hussein, and American President after President have worked for peace. To be fair, that was a really assy offer. Sure, they *technically* offered, 96%, but there was an incredible collection of Isreali-run roads carving up Palestinian territory, no airspace rights, and all sorts of other dealbreakers. Unfortunately, I can't find the summary and map online that I once had. Why does my heart sink whenever I read the words "Is it just me ...." or "If I read this correctly ..."? In doing original work, Brad is excellent; in interpreting his political opponents in a charitable or even sane manner, not so good. Is it about fighting back or about suicide bombings per se. For instance, the East Timorese have fought back the Indonesians, with the consequence that they were on the receiving end of genocide. So East Timorese like Palestineans fought back their invaders. If your beef with the Palestineans is about suicide bombings, I see definitively a moral difference between the Israeli general that orders an air attack to blow up civilians in the West Bank and a Palestinean that straps a bomb in his waist to blow up civilians in Israel: the Israeli general is more immoral than the Palestinean by a mile. Have anyone noticed that since Sharon came to power, the Israelis are in the driving seat, escalating whenever necessary (i.e. whenever hints of a diplomatic settlement appear in the press). It happened in December, after 2 weeks without new attacks, Israel broke the truce. Because Sharon-Likud's belief is that they cannot be defeated militarily, so why bother try diplomacy, and let's settle more zealots on the hills. Moreover, whenever Arabs offer the olive leave (just like the Saudis did), kill a dozen more Palestineans to heat the conflict again. If you ask me, that is tantamount to suicide for Israel. If not physical, at least moral. Brad, I do think that be-littling Mr. Said does more harm to your reputation and analysis of issues on the out-border of Economic Field especially as you are not a specialist in either politic or the Middle East. You do not see Mr. Said criticizing your economic essays? amplifying my comment above: for example, I think it extremely unfortunate and bordering on irresponsibility, for Brad to paraphrase Said's argument as being that "Mossad has ..." when the word "Mossad" in fact does not appear anywhere in the article linked to. etc, etc. Edward Said has written an article that appears aimed at inflamation rather than at peace. Sharon must have known that dropping a one ton bomb in a populated neighborhood would inspire more suicide bombings in revenge, just as the suicide bombers know that their actions inspire Israeli acts of retaliation. Only an extraordinarily stupid person or someone blinded by ideology would think otherwise. Someone like your typical blogger, in fact. The only thing that never changes in Palestine is America's determination to allow settlers to keep gaining ground. The rest is lip-service and / or disinformation. But in my opinion it is hard to believe that Israel will be able to pull what the Afrikaners could not do it. Sooner or later, Israel will have to either end their racist policies or to allow Palestinean self-determination. It happened before with the Jim Crow laws, it happened before with apartheid, sooner or later it will happen in Palestine too. In other words, I am an optimistic. Both maps are from Le Monde Diplomatique. Do we expect a people subject to so much disrespect to behave in the most civilized way? "Here is an argument for why my side is right and the other side is wrong." "I believe that particular argument is flawed, for this reason." "But that doesn't affect the basic fact that my side is right and the other side is wrong. And here's another argument to show that." And if I challenged that particular argument as flawed, the answer would be . . . ? Brad pointed to a particular statement by a particular Palestinian spokesman which he found objectionable, and indicated the reasons he found them objectionable. I don't think citing Israeli crimes provides a proper answer to this. When Said says the bombings of cafes were "programmed" by Israel, he implies the bombers were helpless captives of their programmers. But even if we took Said at his word and agreed that the Israeli government wants Palestinians to resort to terror bombing (because it damages their cause so badly), that does not make the bombings inevitable. If what you are tempted to do is both morally indefensible AND strategically insane, you have an alternative: namely, not to do it. Indeed, that seems like an obviously preferable alternative. What prevents people from choosing it? Your argument is based on the assertion that other people under duress did not resort to suicide bombings. I consider suicide bombings aimed at civilians only a military means like any other, not less moral than using tanks or combat aircraft aimed at civilians. Of the oppressed people in your list, I know little about Biafrans, but Timoreses actually tried to resist the Indonesia army, so do Southern Sudaneses and Eritreans relative to their oppressors. To compare the plight of Czechs, Slovaks and Hungarians with the Palestineans' one is simply preposterous and does not deserve comment. "If what you are tempted to do is both morally indefensible AND strategically insane, you have an alternative: namely, not to do it"
Yes, I agree. 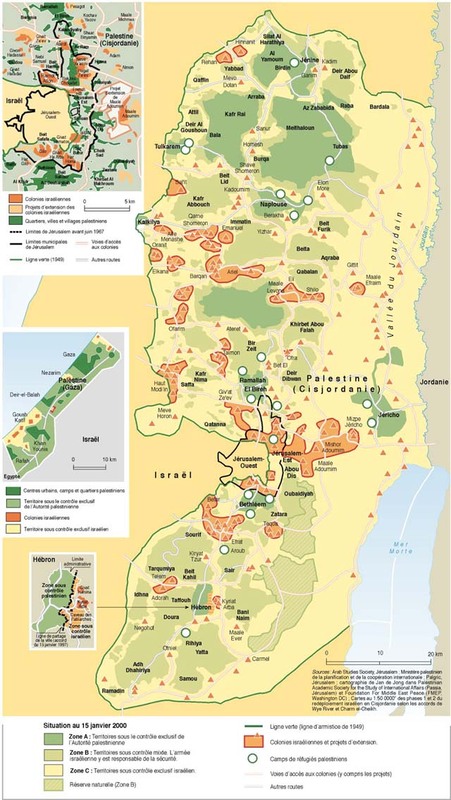 Likudniks could have chosen not to try to expand Israel's territory or oppress the Palestineans because that is morally indefensible and also absolutely strategically insane (how long until a nuclear bomb is exploded in the Middle East? what are the odds of that happening in Tel Aviv?). It is an assumption that runs deep in the Western pysche that we are talking about. For status-quo to go on in the World and in the US we need to believe that _no matter_ what one's life is, the moral alternatives are the same. Factually it's true, but practically it's like saying that a kid who is raised in a drug ridden violent neighborhood has as much opportunity to raise to the top than a rich kid from Organge Country. But imagine, people started to realize how insane such a statement is, how would that affect American politics? That's a non-started for the mainstream. And there is nothing less acceptable than to bring up the context in which Palestinians evolve... because that precisely casts serious doubt about this insanne axiom of independent moral alernatives. Not to mention that, as you pointed out, killing civilians from a tank or an airplane is not terrorism... even if it comes in the middle of a truce that everybody started to believe in. There is simply no dialog here. Just a tactical game of rhetorics people play more or less consciously. This isn't the best of comparisions; intentional targeting of civilians by a military is a war crime. "intentional targeting of civilians by a military is a war crime"
Of course, in case one of you readers needs guidance, Bordon thinks that killing civilians is a bad thing regardless of the identity of the killer. Under what conditions do two wrongs make a right? There is no excuse for suicide bombs, or planting bombs with nails covered with rat poison set off in public places. Period. Until the palestinians (and other terror groups) figure this out, they will not have their own country because they do not deserve one. And willful, conscious terror of Israelis by Palestinians ("let's go kill some weightlifters!") creates the psychological space from which Ariel Sharon emerges. I have no tolerance for arguments that say that Sharon's actions are the moral responsibility of Palestinians who "consciously programmed" him. I have no tolerance for arguments that say that Palestinian suicide bombers' actions are the moral responsibility of Israelis who "consciously programmed" them. How can anyone misread "consciously programmed"? Come on, now! Let's do some transformation grammar! Let's start with the sentence: "Palestinian suicide bombers have been consciously programmed to carry out their deeds of terror." Let's invert it to make it active. "X has consciously programmed Palestinian suicide bombers to carry out their deeds of terror." Does Edward Said have in mind an alternative subject for the second sentence other than "Mossad"? He does not. "There is no excuse for suicide bombs, or planting bombs with nails covered with rat poison set off in public places. Period. Until the palestinians (and other terror groups) figure this out, they will not have their own country because they do not deserve one." "Nobody has a right to question the atomic bombing of Hiroshima and Nagasaki. Any country which was attacked might do the same thing." "But other countries which were attacked did *not* use nuclear weapons, even when they had them." "I consider nuclear weapons aimed at cities only a military means like any other." In both cases, I would consider the phrase "do the same thing" quite misleading. Moreover, if you dismiss any attempt to distinguish between targeted bombings of civilians and any other military means, you are plainly at odds with Said. You believe the suicide bombings of Israeli civilians are only a military response by an oppressed people, designed to rid the Palestinians of their occupiers. Said believes these bombings are so self-evidently reprehensible that they cannot help doing the Palestinian cause great harm, and that they are designed by the Israelis to keep the occupation going. So why did you start by declaring that "Said is perfectly right"? I have to guess that you are ready to come to Said's defense, even though his thesis is plainly incompatible with yours, simply because Said is saying "the Israelis are wicked." And everybody who says "the Israelis are wicked" is "right," even if they are all saying it for very different and quite incompatible reasons. Since you are certainly aware that the Czechs, Slovaks and Hungarians were invaded and subjugated, your claim that their plight was not remotely comparable to that of the Palestinians must rest on the difference in the nature of the subjugation; i.e., you must feel that the Soviet occupation was always qualitatively less malevolent than the Israeli occupation of the West Bank. This may be argued, but it is scarcely self-evident. Of course it is a blinkered form of moral absolutism to expect that the environment a people live in should play no role in their responses. But there are also blinkered forms of moral relativism, like the assumption that "if this people are acting this way, it *must* be because circumstances drove them to it, and that's the end of the argument." And it seems to me that if we want to avoid both kinds of simplistic thinking, a good place to start would be by comparing cases. Do people under occupation always target civilians of the enemy side? Apparently not. Naturally, recognizing this fact will not and should not magically settle all arguments, because there are always differences between cases. But if we want to say "Don't just unfurl your moral flag, look at the circumstances, look at what history teaches us! ", then the least we should do is look at these things thoughtfully and thoroughly. Otherwise we are simply replacing "Evil is Bad" with "People in Bad Situation do Bad Things," and I honestly don't see the improvement. * we have managed to stay civilized, and that's great. too bad things have gotten to a point down there that civility had become a joke on both sides. Let me get back to the analogy with the inner city kids. The guy is raised by a drug addict. He (or she) as been abused sexually by his aunt. Let me make the picture more vivid (but still quite realistic) by saying that his inlaw thinks turning off his cigarette buts on children's back is funny. This is gory but I have had friends whose childhood is of this type. Now, this guy grows up and turns into a serial raper-killer. Should we just let him go because of his backgroung. No. BUT WHEN WE WANT TO THINK ABOUT WAYS TO GET TO THE BOTTOM OF THIS PROBLEM, WE NEED TO KEEP THIS IN MIND. In other words, the actual solution is not in the unavoidable (and to this point necessary) imprisonment of criminals but in trying to find ways to improve these kids' life. At least if you care at least as much about the actual outcome in terms of violence rather than the rush you get from knowing that somebody you hate has been punished. Practically for Palestine, there is no excuse for Palestinians to kill innocent Israelis and vice-versa. But this retaliation has become a mass psychosis in Israel / Palestine, especially since the coming in power of Sharon. You and Brad pointed out earlier that it is Palestinians who created the political space in which a guy like Sharon could come to political life. That's only half-true because the other half of the truth is that the pace of settlement buidling accelerated under Barak, and that his so-called "generous" proposal was a non-starter for any Arab. Further, Barak didn't come to Camp David with any intention to negociate, but with a take-it or leave-it proposal. If you have some experience with Arab people, you should expect to spend a good deal of time negociating, sipping tea etc. That's their culture, and however alien to us, we should take it into consideration. And I bet Barak was more aware of this than anybody here in the West. That's to me where the ultimate obstacle to some kind of reasonable compromise is and I am really tired of listening to my Jewish friends trying to fool me over this. Even so-called moderates now, come up with arguments like "but look at how much territory Arabs have elsewhere." That's not the point, and we all know it. I personally fully support the right for Israel to exist. Not because of a religious texts that I do not indetify with, but because in the flow of history it seems like a reasonable thing to do to offer religious Jewish people their sort of "Vatican". But I believe Sharon's policies are those of a mad-man as far as offering religious Jewish people a safe home is concerned. The fact is, Israel is smack in the middle of the Middle East. And Israelis are going to have to be up to this challenge, or see their dream be a cause of trauma, decades after decades. It's up to them. The Palestinians will follow Israel in any kind of decent solution. I have found this old article from the BBC, I thought some might enjoy reading it as a history refresher about some of what happended and did not happen at Camp David in July 2000. Thanks for pointing out the inconsistency in my argument on Said - that is the price I pay for not reading Said's article. Anyways, I'd like to point out that even if Said believed that suiceide bombings are not different from tank shells, he would not dare to mention that, considering how the press/commentators in the US is biased towards accepting/condoning state terror while rightfully raging against non-state terror.
. Czechs were not driven out of their homes and kept for decades in refugee camps.
. Czechs actually had a functioning economy under Soviet occupation (actually a better economy than they have now as far as GDP per capita and unemployment are concerned). I could go on forever. But I guess you got the point already. yes, both Czechs and Palestineans did not have freedom of press, self-government, full sovereignty and other freedoms we take for granted. But I'd much rather be in Prague in the seventies than in Nablus now. This link will work better. True, Czechs were not driven out of their homes and kept for decades in refugee camps. And if you believe that is the ultimate form of oppression, and that the greater the oppression the greater the entitlement to any form of violence against any target, then the Palestinians have the number one spot, and all the privileges that go with it. Some people would keep different lists, of course, based on different criteria, which would give the Czechs a higher place in the victims' "honor" roll. I'm sure we could both go on forever about that, but I don't see the point of it. "I'd like to point out that even if Said believed that suiceide bombings are not different from tank shells, he would not dare to mention that, considering how the press/commentators in the US is biased ..."
This comment suggests that not only did you not read the Said article which we were commenting on, you have never read anything by Said, and you have very little knowledge of the sorts of things people "dare" to write every day in the face of press bias. Yes, I have read Said - and he does not strike me as loony or condoning needless violence. Neither do I see Said as someone who quakes in fear at anticipation of what the Israel lobby will say if he "dares" to violate their dread shibboleths. Anyways, this Czech-Palestinean comparison is irrelevant if you believe/understand/assume that suicide bombings are a military action like any other, arguably morally superior than responding with bullets to stones. But I shall notice that there is a huge moral difference between suicide bombings against civilians and against military targets, and between suicide bombings against targets in the occupied territories and against targets inside the Green Line. But I do not see anyone in the US making the argument that suicide bombings are a military tactic. Not even Said had the candor to do that to my knowledge. This argument is often made outside the US, where the debate is less restrained (Europe) and where people have fresher memories of colonialism (some 80% of the world population). 1) Yes, if all forms of killing are equivalent, then all comparisons are irrelevant. And (again) if that is the case there is no point in defending Hamas' tactics by saying that "anybody would do 'the same'", since by definition *everything* that *anybody* might do is "the same." 2) If by "suicide bombings are a military tactic" you mean "Palestinians are attempting to use these bombings for the purpose of expelling an enemy from a territory, which is a traditional military goal," then of course everybody acknowledges this. Nobody is arguing that the bombings are a recreational activity. (From the perspective of Hamas, of course, the "enemy" is all Israelis, not just soldiers, and the "territory" is all of Israel, not just the Occupied Territories.) If, on the other hand, by "suicide bombings are a military tactic" you mean "there is nothing about them which is any more morally offensive than any other military operation," then your assumption that it is only a lack of "candor" (honesty) that prevents people from "acknowledging" the truth of your judgment is not only false, it is extraordinarily presumptuous. But actual life offers sometimes unexpected free lunches in that I can think Palestinians have a right to claim their land (and my arguably personal position is pre-1967 borders but that's a judgement both camps would quietly or not so quietly dislike me for making), and that fortunately their most effective strategy is to limit the intifada to its purely political form and renounce all forms of violence, and particularly vis-a-vis civilians, and even more particularly outside of the territory they're trying to claim. And in doing so, I didn't have to tell you whether I think the right to fight colonization is more or less important than respecting all forms of life. Personally, I don't know how to aggregate people's suffering in a non-arbitrary way. Do not think that history never reveals people's implicit ranking, however. American Pioneers did not have much moral trouble ripping Native Americans of their land, and killing them in doing so, if necessary. And later on, Brittish soldiers were revealed a totally fair price to pay for independence. (1) I do not understand your first point. (a) If by "fighter jets raids against residential areas and tanks against stone throwers are a military tactic" you mean "Israelis are attempting to use these bombings for the purpose of expelling an enemy from a territory, which is a traditional military goal," then of course everybody acknowledges this. Nobody is arguing that the Israelis bombings are a recreational activity. (From the perspective of Rabbi Kahane followers, of course, the "enemy" is all Arabs, not just soldiers, and the "territory" is all of Israel, including the Occupied Territories.) If, on the other hand, by "fighter jets raids against residential areas and tanks against stone throwers are a military tactic" you mean "there is nothing about them which is any more morally offensive than any other military operation," then your assumption that it is only a lack of "candor" (honesty) that prevents people from "acknowledging" the truth of your judgment is not only false, it is extraordinarily presumptuous. (b) I think the discussion should be put in perspective. Israelis are against Palestinean's right to exist. Israelis expelled 3/4 of a million Palestineans from their homes in an ethnic cleansing campaign that not even Milosevic dared. Israelis run an apartheid state that subjugates huge populations under military occupation. That is the background that should be brought to light when comparing suicide bombings with Israeli's killings. I said "Israelis are against...". The correct statement is "The state of Israel is against..."
Obviously not a small change in meaning - after all, every Israeli I know personally favors a Palestinean state (kind of a biased sample). Your "demonstration," therefore, that "the shoe could be put on the other foot, and how would you like it then?" is absolutely meaningless to me. It might have been a triumphant tour de force of rhetorical judo, if I had in fact ever suggested that critics of Israeli actions were avoiding the plain truth out of cowardice. Since I haven't ever said anything remotely like this, it seems you're just enaging in a strained non sequitur, the only purpose of which is to allow you to declaim, once again, that Israeli behavior is reprehensible. And I agree that sometimes it is. But if the *only* response you feel obliged to give to *any* question or challenge is "Israeli atrocities! Israeli atrocities!" then you aren't really participating in a discussion. Thanks for the exchange - let's agree to disagree.